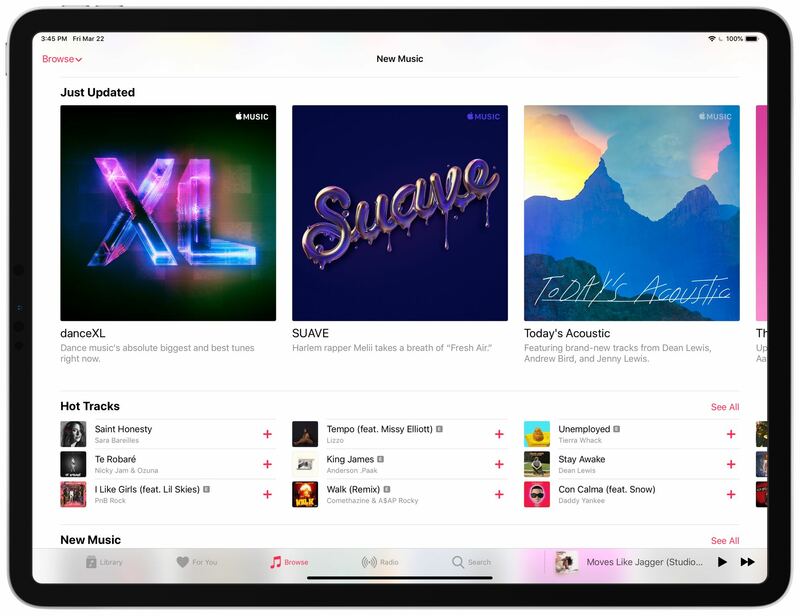 Apple Music’s Browse tab in the Music app on iOS and in desktop iTunes has been redesigned lately around a much better playlist showcase and improved organization. 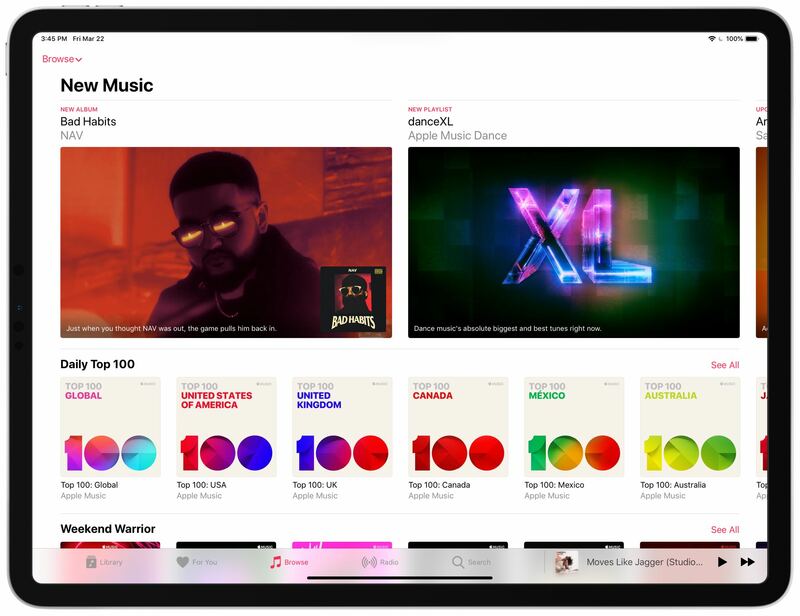 The Browse tab is the place where Apple Music subscribers can expose themselves to new music and personalized recommendations, see what songs and videos are topping the charts, watch music videos and find genre-based curated playlists. Daily Top 100: Apple’s popular playlist is now even easier to find right below the carousel at the very top of the interface. Available since last September, the Global Top 100 playlists are now much easier to find. Weekend Warrior: This is a new section with weekend-themed playlists. The playlists were available before, but they’re now definitely way easier to find. Just Updated: Apple-curated playlists are dynamically updated on a weekly basis, but knowing when the playlist you follow has received new content is easier said than done. 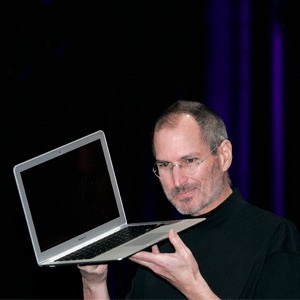 The Cupertino company has solved this by listing all the freshly updated playlists across genres and moods underneath the Just Updated heading. We’re Loving: Found near the bottom of the interface, this cool new section features music albums recommended by the Apple Music editorial team. Speaking of genre and mood-based personalized playlists, Apple yesterday launched a brand-new “Suave” multi-lingual playlist filled with R&B songs in English, Spanish and Portuguese from Paloma Mami, Rosalia and other artists from all around the world. On a related note, Apple Music today highlighted a new collection of classical music aimed at celebrating the Los Angeles Philharmonic’s 100 year anniversary. This new area has albums, playlists and brief histories about the Los Angeles Philharmonic’s conductors, as well as relevant albums, music videos and an exclusive playlist curated by Deutsche Grammophon celebrating the anniversary. By the way, no update is needed to get the redesigned Browse tab thanks to server-side changes. However, that also means a staggered release so try again in a few hours or days if you don’t yet see the new design and layout in Browse. How do you like the redesigned Browse tab?